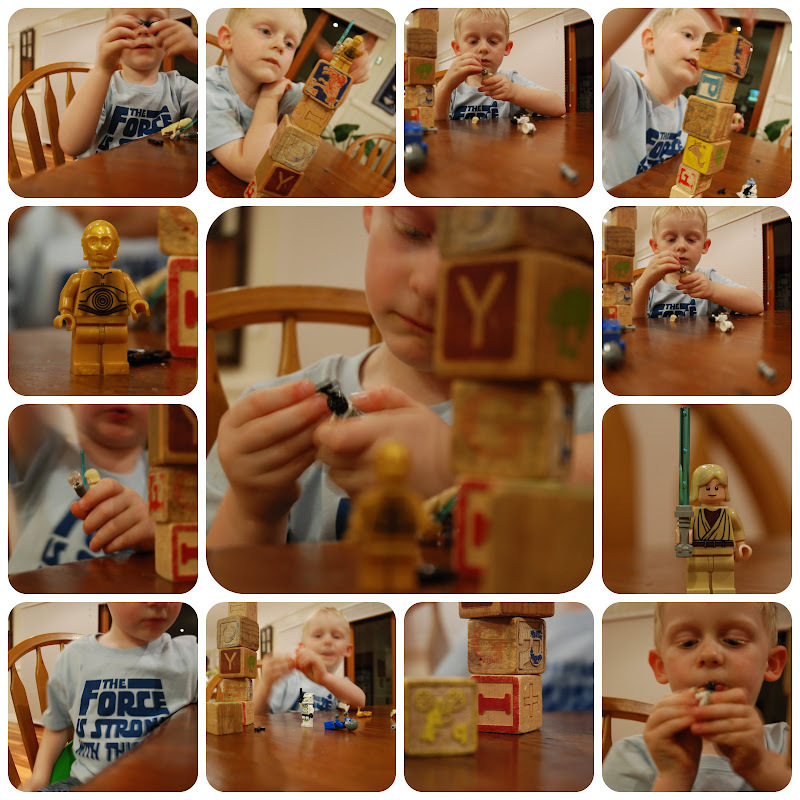 and his favorites Lego, Star Wars, Lego, Star Wars, Lego, Star Wars …. Ben and Hugo had a lovely time with Honda and Penny Penny yesterday. We can’t believe how quiet the hens are. They didn’t seem to mind two not so gentle little boys playing with them. Author BelindaPosted on August 22, 2010 February 4, 2011 Categories Benjamin, Family, ProjectsTags Ben, chooks, hens, Hugo, playing4 Comments on Chook chook chook!! I was cooking dinner this week thinking how organised I was for a change when I thought Ben seemed a little bit toooo quiet. I walked down the hall to discover Ben washing his hands. There was water up the wall, on the floor and the addition of the toilet roll added for lots more fun. Ben was having the best time ever! Oh yeah, he lost his pants along the way. They got wet so he took them off! 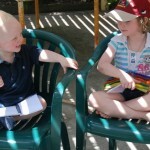 Author BelindaPosted on August 7, 2010 February 4, 2011 Categories Benjamin, FamilyTags Ben, playing, quiet, water4 Comments on Ahhh Quiet…. We are truly blessed to have wonderful neighbours. Ben loves to play with Charlotte, Finlay and Ryan. It is great to be outside most afternoons as the days are warming up. Bring on Spring! Anything you can do, I can do too! Charlotte our neighbour came over to play with Benjamin this week. Charlotte is in Prep so has a keen interest in writing. She has a gorgeous journal that she gladly carries with her. 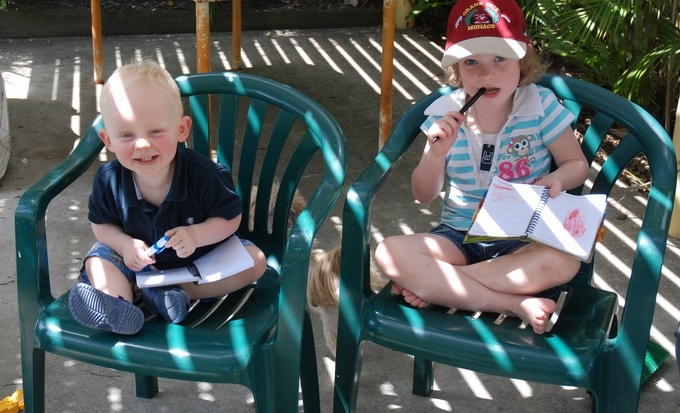 Ben and Charlotte had been playing outside when Charlotte decided to have a rest and do some writing. Well…….Ben wasn’t to be outdone. He dragged a chair over to Charlotte and climbed up himself. He initially tried to steal Charlotte’s journal and pen so we soon got Benjamin his own. It was definitely a Kodak moment. 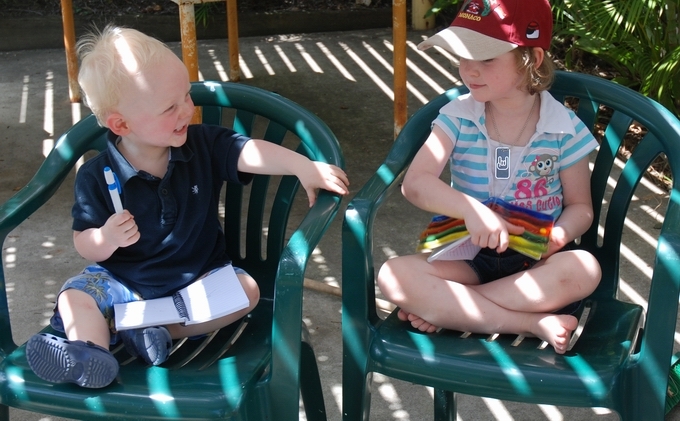 The two sat together giggling and writing for a good thirty minutes. 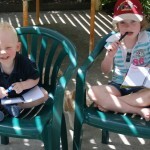 Author BelindaPosted on October 3, 2008 February 4, 2011 Categories Benjamin, FamilyTags Benjamin, Charlotte, neighbour, playing, writingLeave a comment on Anything you can do, I can do too! Benjamin is very talkative these days. This one is at age 7 months in November 2007.